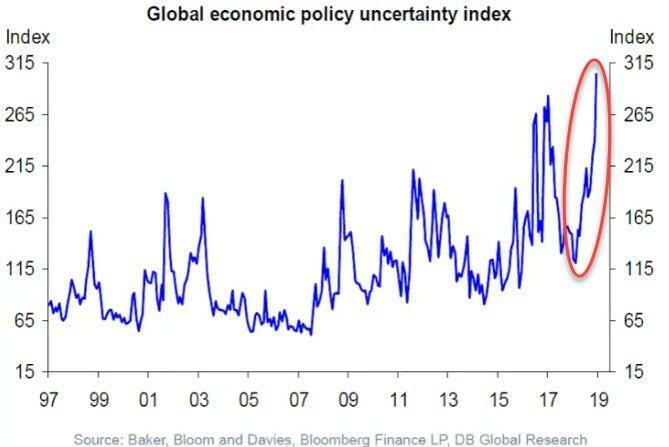 A gauge of global policy uncertainty is “flashing red” according to The FT, amid anxiety on Brexit, the US government shutdown and the Sino-American trade war. According to Deutsche Bank's chief economist Torsten Slok, this more uncertain environment likely means “more dovishness from global central banks” lies ahead. 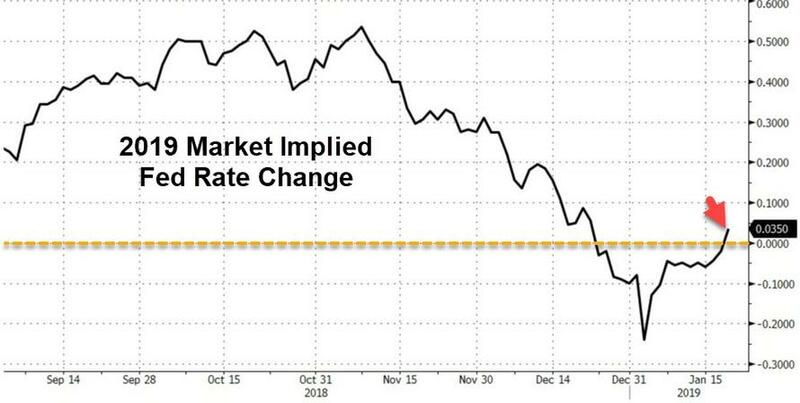 As Deutsche notes “Fed officials have also emphasised a greater sense of patience and flexibility in raising rates in response to these cross currents,” but we suspect it's too late.